This is a great idea. I will definitely do this. 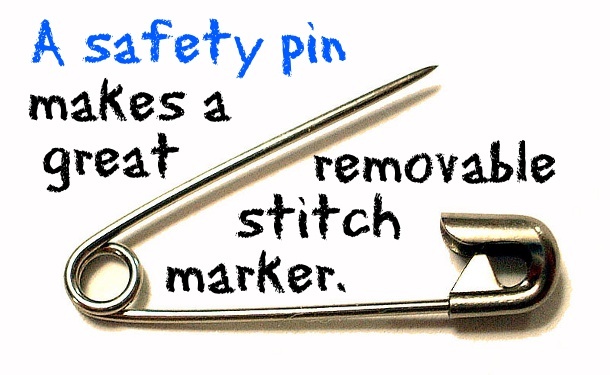 I recommend that you use the coil-less safety pins–that way the yarn won’t get caught in the coil! 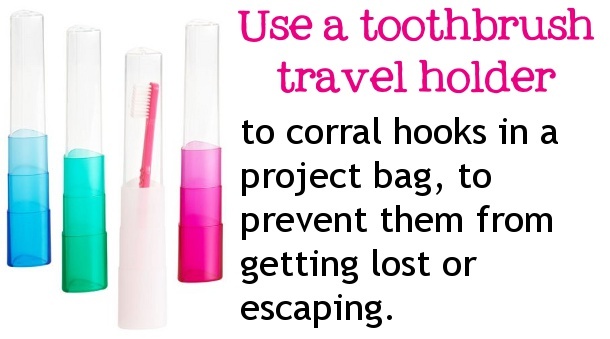 I really like the idea of using a toothbrush holder to store hooks in my project bag! Thank you for the tip!